The Expom company for many years is working in the marine industry and the energy industry. We also do custom designs, we produce davits and cranes and other lifting equipment items. Our company provides assembly of the client. We operate in accordance with the standards of ISO, in the production we use the latest technology. Our production is carried out based on customer orders from abroad. Products of Expom company reach companies from Europe, Asia and the USA. If you are looking for equipment for ships, davits and cranes or other structures for the energy industry we are right for you. We focus on quality and customer’s satisfaction. We ensure discretion in the implementation of new products and prototypes. We employ the best qualified engineers. All of our products pass a series of tests and experiments before being allowed to land. 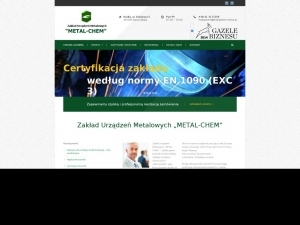 Contact us via the Internet or come to our office in Kurzętnik.